The tour is private and available daily. In the booking, please specify your preferred time. We start the run from Gamla Stan metro station (on the red and green lines). Take the Munkbrogatan exit and we’ll meet outside Vapiano Restaurant on Munkbrogatan 8. Tours can be customized based on your preferences. We can skip the places you have already seen to focus on what you would like to see most. 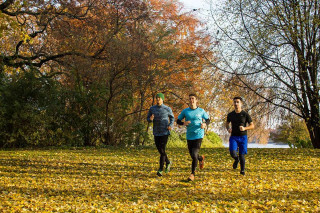 We recommend you bring only the essentials as we can carry those for you on your run. We can potentially start at your accommodation, but we’ve carefully planned each of our routes and start point so you see the very best of the city. 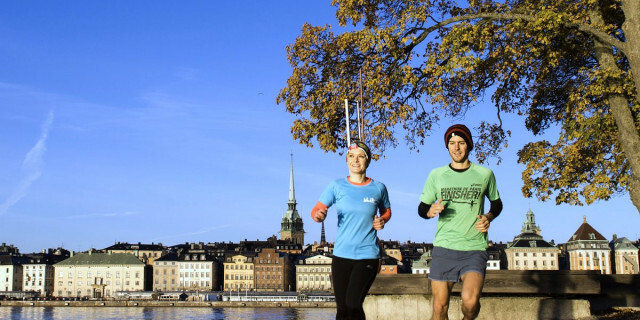 Please note we will be closed for the Stockholm marathon (June 2) and Mid-Summer weekend (June 22-24). 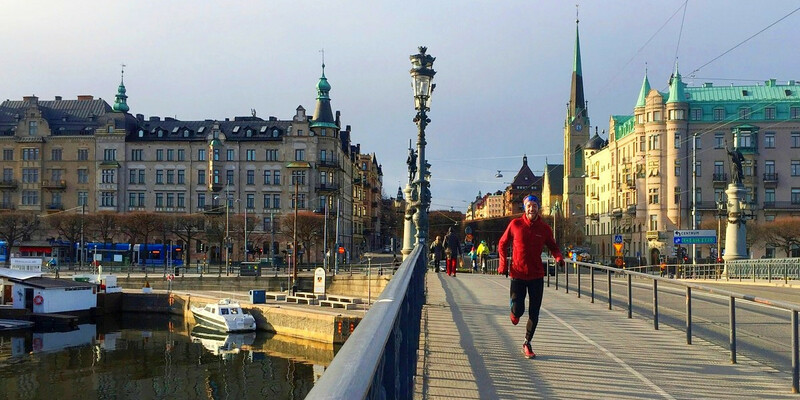 Run the pavement of the city center and tree-lined paths of an island all in one. 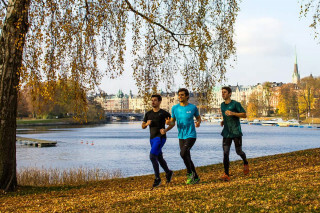 On this running tour, you get the best of both the urban and natural worlds of Stockholm. 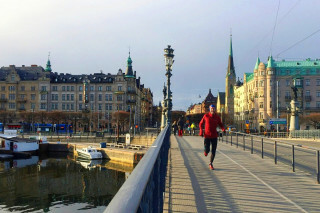 First, we enjoy many of the major sights of central Stockholm such as the baroque Royal Palace, the Swedish Parliament or the Dramatic Theatre. As we continue, we escape the bustling city to picturesque green space. 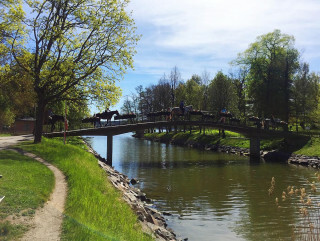 On Djurgården Island we run through ornamental gardens, shady forests and waterside paths. Along the way, we pass some historic monuments and museums. The tour is prepared at your pace so you can admire the views. 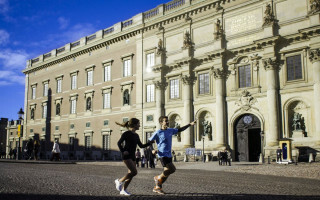 Your expert guide tells stories of Swedish history and culture, as well as the most insider tips for the rest of your stay in Sweden. The tour takes about one and a half hours, during which we cover a distance of 10 km (6 miles). 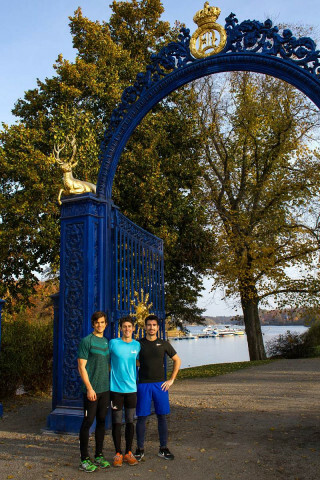 On the way, we make an optional stop for you to catch your breath or challenge yourself with a bit of cross-training. 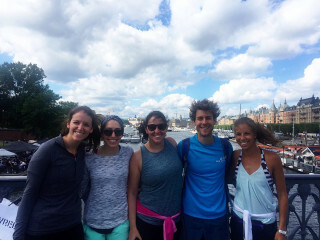 Whether it’s the intricate architecture or the blooms of the parks, you learn about many sides of Stockholm with this dynamic tour. 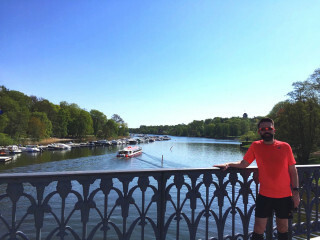 From the city center to the oasis of Djurgården Island, you end with a different perspective (and a different heart rate).